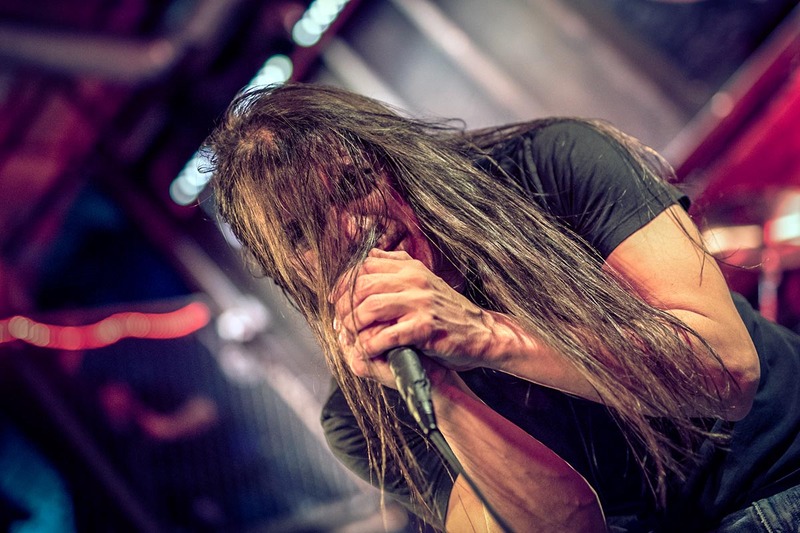 Ray Alder has been singing his heart out for prog metal giants Fates Warning since 1987. Over those three decades, he has inspired generations of fans, risen to new vocal challenges, and even let James LaBrie sing backup with him when nobody knew who James LaBrie was. Alder began performing professionally in high school and joined Fates Warning as a teenager; he has also fronted his own band Engine, and spent several years at the helm with the eminent California-based prog metal beast Redemption. In this audio interview, Ray kicks back with Sonic Perspectives scribes Rodrigo Altaf and longtime friend and fellow San Antonio native Gonzalo Pozo. This triumvirate of Latino metalhead dorks shoot the breeze in a lighthearted discussion about Fates Warning‘s stellar new live set Live Over Europe, as well as the Fates approach to live performance, Ray‘s recent split with Redemption, and the absolute dearth of tacos in Madrid. ¡Joder! Check out their conversation in the video below, or subscribe to our Podcast in several platform to listen and be notified about new interviews and contents we publish on daily basis.